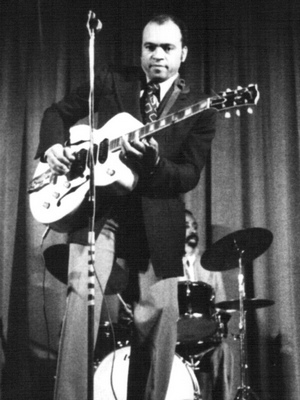 Upholding the swinging brand of electric blues guitar pioneered by T-Bone Walker since the mid-'50s, Roy Gaines hails from a musical brood (his older brother Grady was the sax-blowing leader of Little Richard's legendary Upsetters). The Waskom, Texas product would stage guitar battles with Cal Green while they were mere Houston teenagers. Roy relocated to Los Angeles at age 16, and in 1955 he signed on as singer Chuck Willis' bandleader. Willis wrote "Loud Mouth Lucy," Gaines' own debut single that year for Chart Records. Roy was so hot on his axe that the Groove labeled sub-billed him as "Mr. 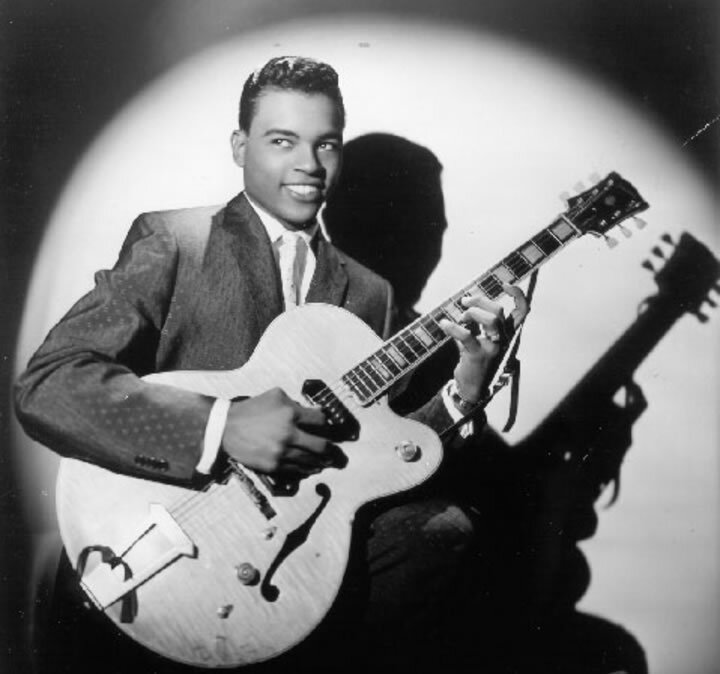 Guitar" on his two blistering '56 singles for the firm, "De Dat De Dum Dum" and "Worried 'Bout You Baby." Roy moved over to the DeLuxe logo in '57 for five more platters, then waxed his rock and roll classic "Skippy Is A Sissy" for RCA Victor in 1958. Gaines has been truly prolific over the last quarter century, releasing a series of fine blues CDs, several of them on his Black Gold imprint, that spotlight his crisp, concise guitar work and burnished vocals.